Hardin Southern Railroad locomotive switching just north of Murray. Source of photo unknown. 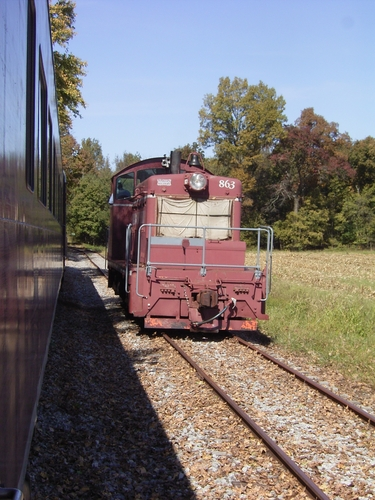 The Hardin Southern Railroad was a nostalgic passenger train that ran along about eight miles of track between Hardin and Murray, Ky. The railroad wound its way along the Clark’s River valley through dense forests and farmland. The train began operations in 1993 and ceased in 2004. 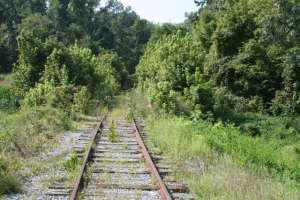 Prior to HSRR, the railroad was originally constructed in 1890 by the Paducah Tennessee and Alabama Railroad. 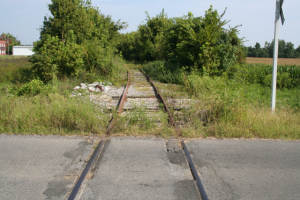 The PT&A Railroad soon went bankrupt and was purchased in 1895 by the Louisville and Nashville Railroad. The company leased the line to the Nashville Chattanooga and St. Louis Railway (NC&StL) for the next sixty years. In 1957, L&N absorbed the popular NC&StL and then in 1982 merged with Seaboard Coast Lines. After the merger, they became known as the Seaboard System Railroad which was a part of the CSX Corporation. 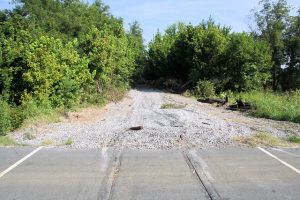 Sometime in the 1983, CSX Transportation abandoned the line between Hardin and Paducah, Ky. and removed the tracks. 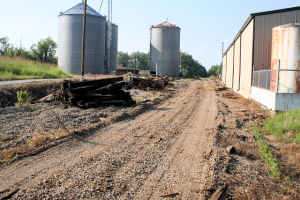 The portion from Hardin to Murray was sold to J. Dunagin who operated the Hardin Grain Elevator. 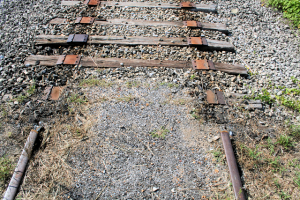 Dunagin created a short-line railroad from Hardin to Murray known as the J&J Railroad. At Murray, J&J connected with KWT Railway just north of present day Highway 80. 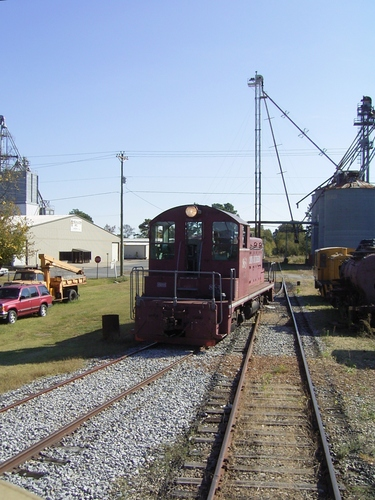 Hardin Southern Railroad locomotive at the yard in Hardin. Source unknown. For the next few years, J&J Railroad would irregularly haul grain and agricultural products up and down the line. In 1993, J&J Railroad sold the line to Hardin Southern Railroad for the purpose of creating a nostalgic passenger train service along the route. HSRR operated the line for over a decade before ceasing operations at the end of 2004. 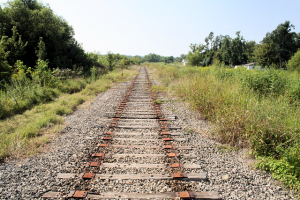 In 2005 the Murray-Calloway County Economic Development Corporation purchased the railroad from HSRR for the sole purpose of serving a new manufacturing plant in the northern part of Murray. 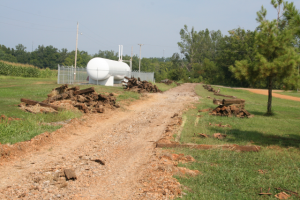 The MCCEDC dismantled trackage in the summer of 2009 from Hardin to just north of the new spur serving the plant. 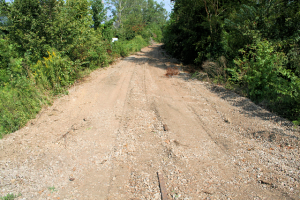 Today the MCCEDC works with KWT Railroad to use their small portion of remaining track for storing stock and serving the manufacturing facility. You can read extensively about the HSRR and their services on archive.org’s cache of their old website. 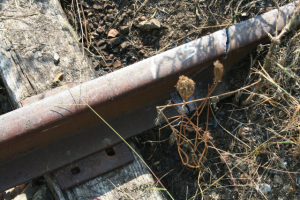 Photos of the tracks being removed in August 2009 are below. Additional photos of equipment can be seen here. If you would like to contribute information or photos regarding the Hardin Southern Railroad, please get in touch with us.